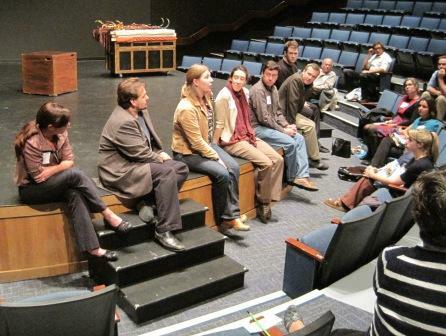 In 2011, IMTAL partnered with the Theater in Museums Workshop to offer the first-ever IMTAL Pre-Workshop Mini-Conference! The goal was to provide a discussion-based day of conversations where participants could exchange ideas with other museum theatre professionals, brainstorm innovative solutions to common questions, and bring home real-world strategies for improving and sustaining quality theatrical programming in their museums. Download the Final Conference Program HERE. Access the Event Archive Page HERE. For more information about the Theater in Museums Workshop, click HERE.